Perilla (Perilla frutescens) is an aromatic herb endemic to Southeast Asia. This plant bears either green or purple leaves with jagged edges and a prickly texture. As a member of the mint family, perilla has a powerful scent and a herbaceous, citrus-like taste that has made it popular as a garnishing for numerous Asian cuisines, such as those of Japan and Korea. In China, however, perilla is also utilized as a natural remedy for indigestion and even food poisoning because of its numerous health benefits. Perilla contains an abundance of rosmarinic acid, a polyphenol that was found to suppress pro-inflammatory compounds and their responses. As a result of this action, the frequency and severity of allergy symptoms, such as runny noses and water eyes, are greatly reduced. The potency of rosmarinic acid, and subsequently perilla, has been found to be effective against chronic, seasonal, and sudden allergies. 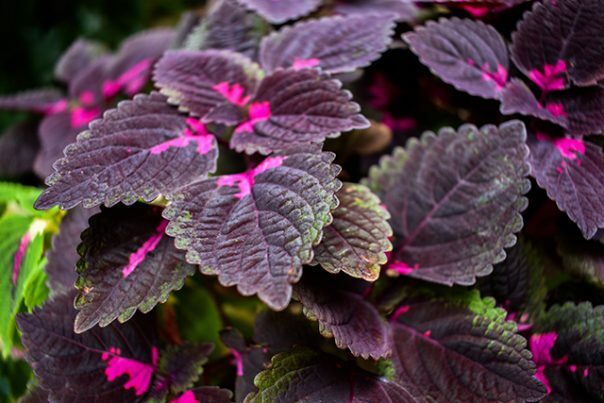 The combination of rosmarinic acid, caffeic acid, and flavonoids make perilla ideal for dealing with intestinal discomforts like abdominal pains and bloating due to their powerful anti-inflammatory and antibacterial properties. As an excellent source of heart-healthy omega-3 fatty acids, perilla can minimize the risk of heart disease and atherosclerosis by inhibiting the oxidation of low-density lipoprotein (LDL) or bad cholesterol. Since perilla is rich in unsaturated fatty acids, it can protect the heart and help it to continue functioning properly. Moreover, perilla has a good ratio of omega-3 to omega-6 fatty acids, which is necessary for the health of the heart. Perilla seed oil can benefit the skin in many ways: applying it can soothe and moisturize dry skin, provide relief from itching skin, and even clear up acne and eczema thanks to its antibacterial and anti-inflammatory properties. According to Clotilde Dusoulier of ChocolateAndZucchini.com, perilla can be used the same way as regular mint or basil. This means that perilla can be used to garnish meat and meatless dishes, fish and shellfish dishes, and even drinks and desserts. For all of these dishes, raw perilla that is either whole or chiffonaded works best. Perilla – Natural Anti-Allergy Oil And How It Works? Perilla works well against chronic, seasonal, and sudden allergies, bloating, abdominal pains, atherosclerosis, and heart disease. In addition, perilla can keep the heart and skin healthy.